Want to help familiarize someone with the rules of checkers? Tired of cheating opponents? Well, Bogdan Berg has just the thing for you! 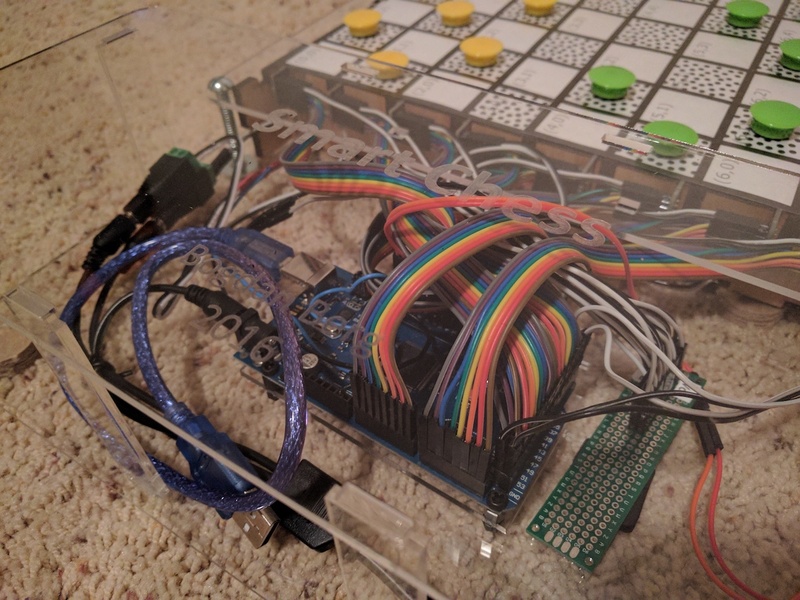 After discussing the idea for an electronic board that teaches kids how to play chess, Berg decided to make this a reality. 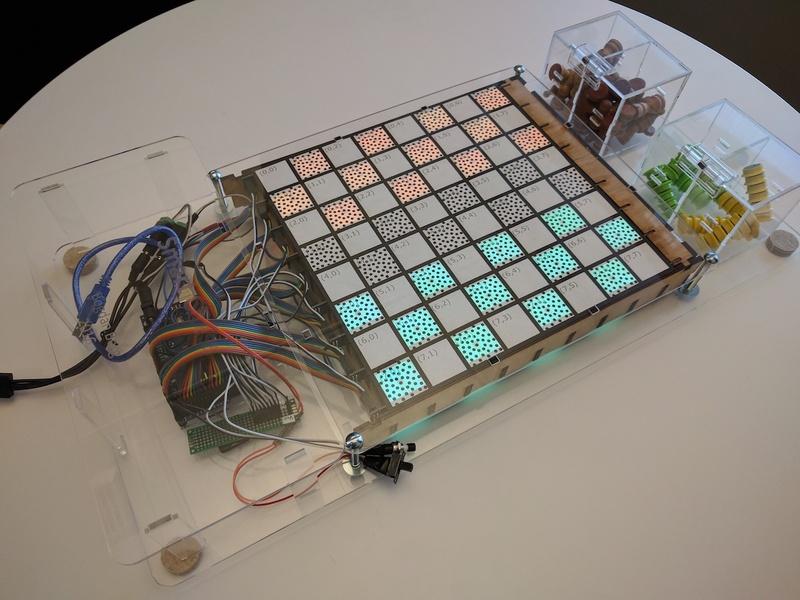 Hall effect sensors on each square tell the Smart Game Board—rather the Arduino Mega controlling the board—where pieces are, and when one is picked up, LEDs highlight what moves are possible. These lights can also show the pieces’ starting positions, assisting novice players in this important part of the game. Currently, the device is programmed to play the international version of checkers, but there’s no reason other games like chess and tic-tac-toe couldn’t be added as well. You can see more about this project, which took about six months to complete, in Berg’s write-up here.